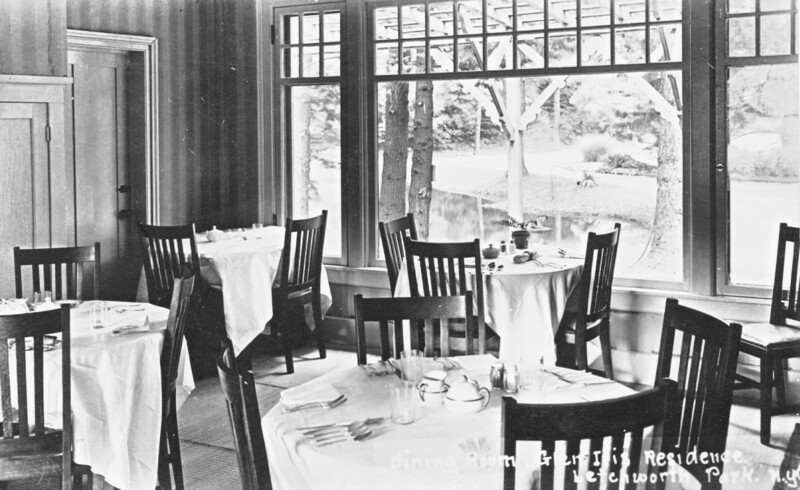 Top: "Dining Room, Glen Iris Mansion, Letchworth Park"
Below: "Dining Room, Glen Iris Residence, Letchworth Park"
These postcards were probably purchased at the Glen Iris around 1917. Note that many of the furnishings were actually from Mr. Letchworth days. 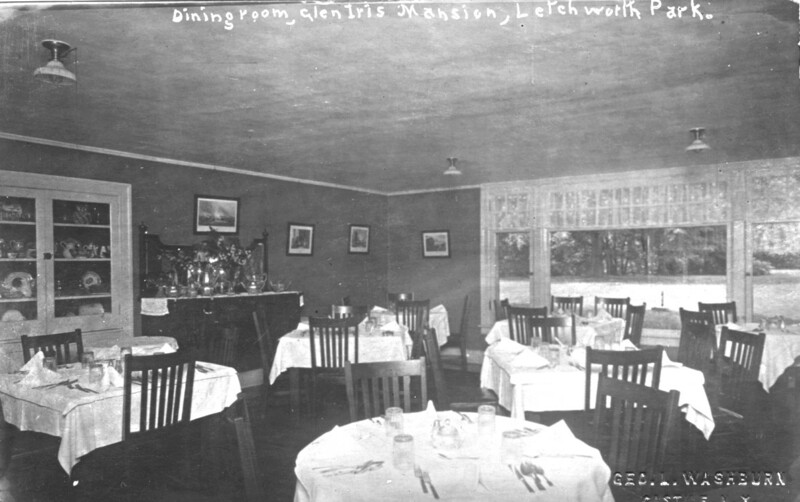 Even today visitors can enjoy some of the original paintings and furniture carefully preserved from the days when Mr. Letchworth entertained his friends at his Glen Iris home. The fountain and pond, visible through the window, is still popular today.